BeeChamp Adhesive PC Cable Organizer Clips are here to offer you the best wire management solution, these clips are constructed from environmentally friendly ABS material, and genuine double-sided 3M adhesive. The clips can stick firmly to walls, wood, glass, metal or rubber surfaces for a long time. 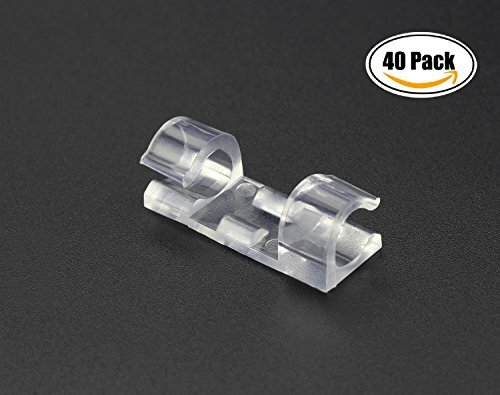 These 40pcs are sufficient for managing your PC cables and printer cable and so on. Great gift item for your friends, family and colleagues who are looking to improve their wire management. We also sent you the BeeChamp bell-shaped key pouch as a thank-you gift for buying from us.